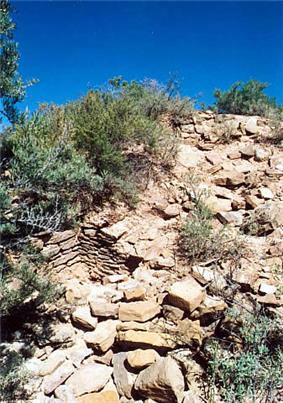 Nearby were the ancient pueblo village of Mud Springs at the head of McElmo Canyon and Navajo Springs, was the original site of the Ute Mountain Indian Agency south of Sleeping Ute Mountain in the early 1900s. Like other nearby Ancient Pueblo peoples, the Yucca House pueblo dwellers abandoned their homes, but because a major excavation has not been completed it is not known when, or if there is a relationship between these people and those of nearby pueblo settlements. William Henry Holmes visited in 1875 and in 1878 produced a report for the United States Geological Survey. Holmes erroneously named the land "Aztec Springs" believing that ruins were the home of a band of Aztecs. He created the initial map of the ruins. Holmes reports: "These ruins form the most imposing pile of masonry yet found in Colorado. The whole group covers an area of about 480,00 square feet, and has an average depth of from 3 to 4 feet. [...] The stone used is chiefly of the fossiliferous limestone that outcrops along the base of the Mesa Verde a mile or so away." An excavation was completed by the Museum of Natural History in New York in the late 1910s led by Earl Morris and, in the 5th year of excavation led by Dr. Clark Wissler. Wissler found that the interior walls of the "remarkable shrine room" were painted white with a red border and the floor covered with expertly cut slabs of stone, similar to one of the rooms at the Mesa Verde National Park. A sacred 2½ foot serpent was carved into wood at the ceiling. Studies were conducted in the late 1990s following the donation of additional acreage which expanded the number of sites. The study included analysis of pottery on the new site and remapping the site with modern technology. President Woodrow Wilson proclaimed the site a National Monument on December 19, 1919, after the donation of 9.5 acres (38,000 m2) of land on July 2, 1919 by a private landowner. An additional 24 acres was donated by Hallie Ismay in the late 1990s. It was one of many research national monuments designated during that era to preserve the ruins, plants and animals in the Yucca House area. Hallie Ismay, benefactor of the additional land in the 1990s, was an unofficial steward of the Yucca House site for 62 years. As a National Park Service historic area, the park was administratively listed on the National Register of Historic Places on October 15, 1966. 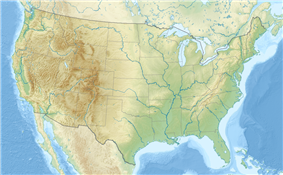 The site is managed by Mesa Verde National Park. ^ a b c d e f .Visitor Guide National Park Service. Retrieved 9-22-2011. ^ a b History & Culture. National Park Service. Retrieved 9-22-2011. ^ a b Rohn, Arthur H.; Ferguson, William M. (2006). Puebloan ruins of the Southwest. University of New Mexico Press. Page 135. ISBN 0-8263-3969-7. ^ a b Art and archaeology, Volumes 9-10. Archaeological Institute of America, Archaeological Society of Washington, College Art Association of America, 1920. Page 42. ^ Dutton, Bertha Pauline. (1983) . American Indians of the Southwest. University of New Mexico Press. ISBN 0-8263-0704-3.